Tibetan medicine has come to represent multiple and sometimes conflicting agendas. On the one hand it must retain a sense of cultural authenticity and a connection to Tibetan Buddhism; on the other it must prove efficacious and safe according to biomedical standards. Recently, Tibetan medicine has found a place within the multibillion-dollar market for complementary, traditional, and herbal medicines as people around the world seek alternative paths to wellness. Healing Elements explores how Tibetan medicine circulates through diverse settings in Nepal, China, and beyond as commercial goods and gifts, and as target therapies and panacea for biophysical and psychosocial ills. Through an exploration of efficacy – what does it mean to say Tibetan medicine “works”? – this book illustrates a bio-politics of traditional medicine and the meaningful, if contested, translations of science and healing that occur across distinct social ecologies. Sienna Craig is an Assistant Professor of Anthropology at Dartmouth College. She is the author of Horses Like Lightning: A Story of Passage Through the Himalaya and coeditor of Medicine Between Science and Religion: Explorations on Tibetan Grounds. 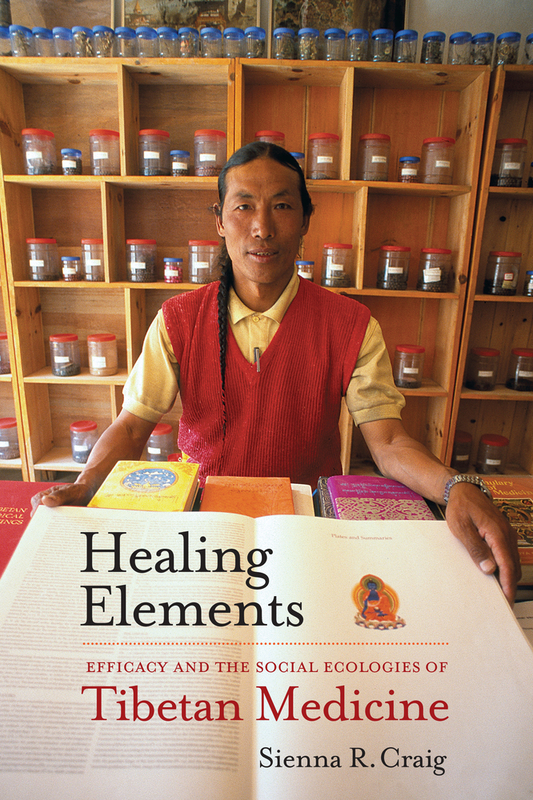 "Healing Elements is a beautiful ethnography of the practices, products and epistemology of Tibetan Medicine. Through her rich and gifted storytelling of experiences spanning a decade, Craig weaves together a mosaic of the medical and therapeutic engagements of the troubled whole that is Tibetan Medicine today. Healing Elements shows us how this conversation itself constitutes a path toward healing." - Vincanne Adams, Professor of Medical Anthropology at the University of California, San Francisco.